Fleet Source, provider of training for the road transport industry, has been chosen by A-Plant to be their main provider for driver CPC training. A-Plant is the UK's largest plant, tool and equipment hire company, hiring a vast range of non-operated equipment, from power tools, cement mixers and accommodation units to excavators, compressors, scissor lifts and other types of equipment for industry and construction. A-Plant is a FORS Gold accredited operator and to remain compliant, they have specific driver training requirements, including their drivers being required to undertake Vulnerable Road User Awareness training such as Safe Urban Driving. As well as undertaking mandatory driver training at their dedicated driver training facility at Chesterfield, A-Plant also invests heavily in their staff's continual professional development to ensure everyone is working to their full potential and always improving their skills. After analysing their transport systems, A-Plant identified areas (e.g. accidents, MPG, fuel consumption, tacho infringements etc.) that they felt further training could be of benefit to both employees and the company - and from this decided what additional courses they needed to implement. A-Plant required a training provider that could deliver leading edge driver training courses, that cut to the heart of the issue and whose content was engaging, interactive and dynamic, to be able to keep the drivers attention throughout the courses. Another key requirement was that the course instructors needed to have extensive transport experience, in order to build trust and confidence with the drivers, ensuring the training was as effective as possible. Due to the scale of A-Plant's business, they also needed a training provider that could deliver the training on a national scale. The ability to hold and deliver training sessions at A-Plant's locations across the country, ensuring minimal downtime for drivers and reduced travel costs. 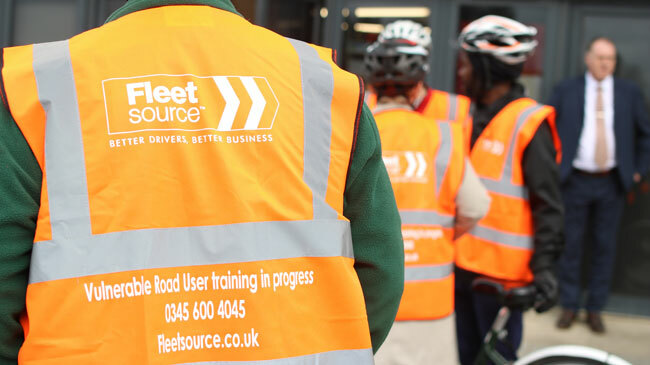 "After a successful meeting with Fleet Source, we knew that they were the right provider to manage our driver training in-line with our long term projects and help us achieve our training goals. They were professional, helpful and met all of our training needs, so they were the ideal provider to deliver such a vast training program," said Shaun Winstanley, Director of Transport Services at A-Plant. Rebecca Guest, FORS administrator at A-Plant said "The booking process was very simple – we decided what courses to book, contacted our dedicated Fleet Source Client Relationship Manager to find out available dates in which they could send a trainer to our sites and then we confirmed. It really was that easy." "I have personally previously been on a Fleet Source course and I found it informative, interactive and extremely well delivered. I have also heard similar positive comments from other staff," said Rebecca. "I have been in contact with Fleet Source for booking training for over a year now and I find them helpful, friendly and professional. We are contacted regularly by their team to make sure everything is going well with their service and to ensure they are meeting all of our requirements," Rebecca added. "I would highly recommend Fleet Source's training - they have a varied and diverse range of courses, are reliable, always provide a proficient level or service throughout the entire process and are flexible to meet our needs. Plus being the largest provider of Vulnerable Road User training (Safe Urban Driving) in the UK, I had no doubt that they could meet our specific challenges" Rebecca concluded. "Fleet Source has many years of training experience and we understand that driver training isn't a part of our customers' every day business," said Nick Caesari, Managing Director at Fleet Source. "We therefore build and deliver bespoke training packages to fit our customers' needs, and make it easier for them to continue with their day to day business." "Our experienced instructors ensure that the attendees are fully engaged in their particular training, that they are learning how to improve their driving skills and to also enjoy the overall training experience," Nick added.